How does one begin a daily blog having procrastinated for close on three years? How arduous is it to unveil the personal, professional, public and political saga that has developed since April 2005? Well, the former will be addressed via haphazard improvisation as each day unfolds (incorporating audio, video, photo and text content); the latter will be made available in a book entitled, "The Road to Delhi", to be publicly launched before the end of this year. 1) Taking my Muslim maternal grandmother (avec an extremely vulnerable heart) across the LOC to visit her Hindu siblings, seperated since 1947. 2) Making a positive impact on the political structure of Pakistan which is screaming out for reform. Demarcation between the old and new Pakistan is looking increasingly attainable. 3) Reclaiming a figure amounting to crores (tens of millions in Pakistani rupees) from a certain Mr. Bashir of Committee Chowk - Rawalpindi, who has looted and fleeced many a local and overseas Pakistani (particularly those of Kashmiri origin - including my paternal uncle) since the early 1990's. He is part of a nefarious property syndicate whose tentacles ulimately stretch out to the prima donna himself viz. Mr. Musharraf. Needless to add, in my painstaking pursuit over the last couple of years, Bashir has defied and made a mockery of the legal system. For example, despite his bail for a bounced cheque of 90 Lakh Rupees being rejected at Rawalpindi session court, he evaded capture with the aid of his attorney. After doing the 'missing act' for a few days, he suddenly emerged with a bail receipt from the High Court! 4) Continuing my penetration into the peace process between India and Pakistan. Issues 1) and 4) loosely relate to Indo-Pak relations while 2) and 3) are primarily concerned with Pakistan's economy and it's pathetic political/judicial/institutional scenario. 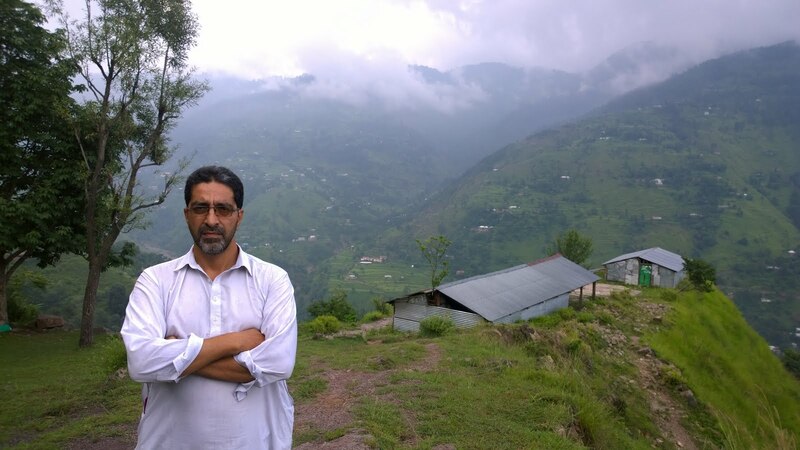 Finally, why is my blog titled Tanveer and Kashmir? I leave that to my honourable readers to decipher.